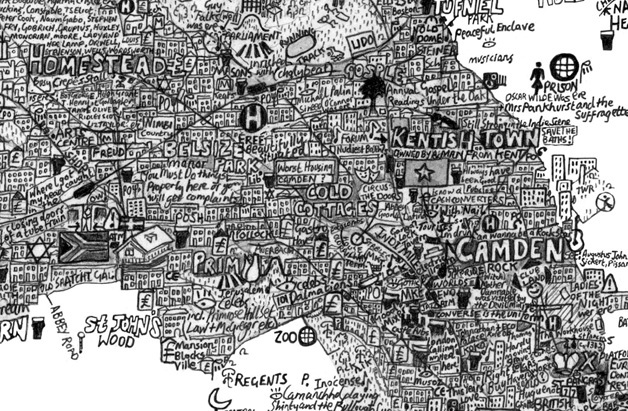 In an age of Google Maps and GPS, it’s not unreasonable to ask the question “Have all the maps been made?” This was the question posed to us by Hervé Senot at a recent Centre for Everything* workshop. Hervé took us through some unusual examples of mapping; some historical, some homemade or collaborative, and all of which gave an insight beyond geographical location. I’ve always had a soft spot for maps from an aesthetic perspective, but it’s their storytelling ability that has recently tickled my imagination. The following images include some of Hervé’s slides, as well as some great story-telling maps I’ve found on my online travels. 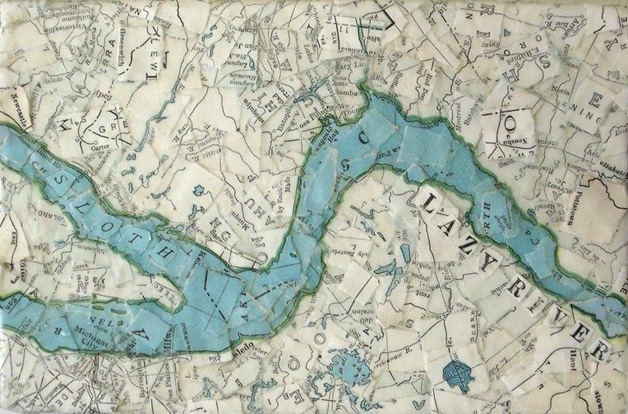 Mine Map by Elizabeth Sampson (2012). 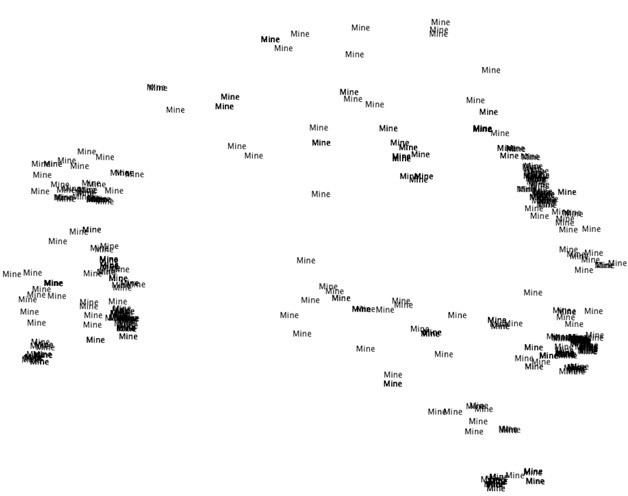 By plotting the position of of every mine in Australia, Sampson illustrates how the mining industry literally shapes the country. Little Lazy River by Francesca Berrini. Berrini deconstructs found maps and reconstructs into fictional lands. 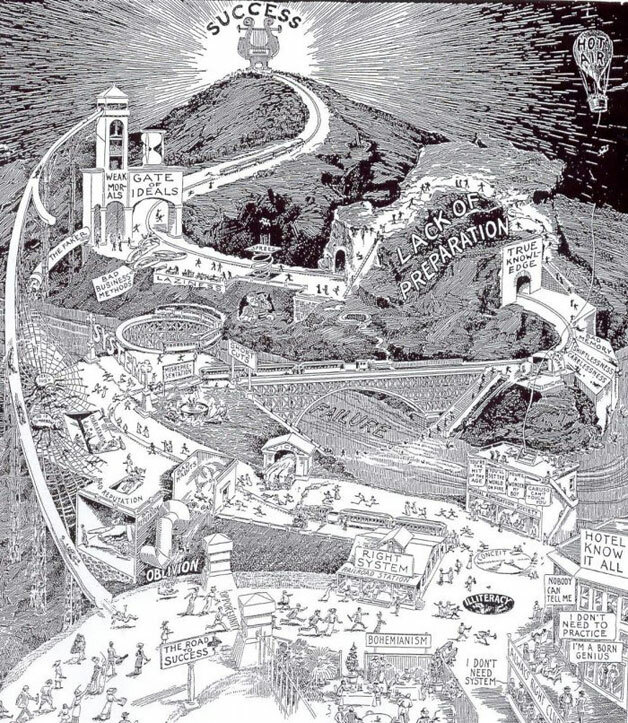 The Road to Success (artist and date unknown). 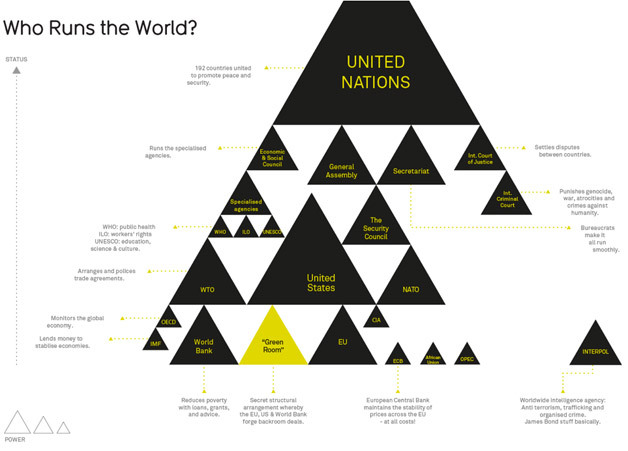 Global Refugee Trends by Benjamin D. Hennig (Views of the World). 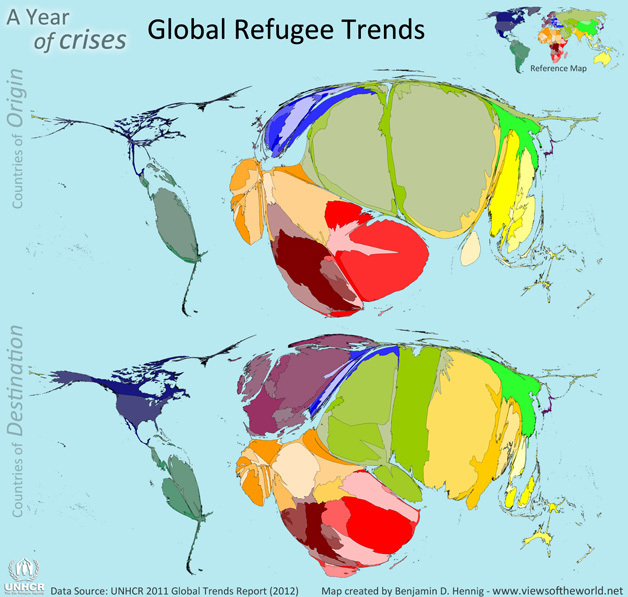 This map shows the origin and destination of the world’s refugees in 2011-12. Puts things into perspective, doesn’t it? 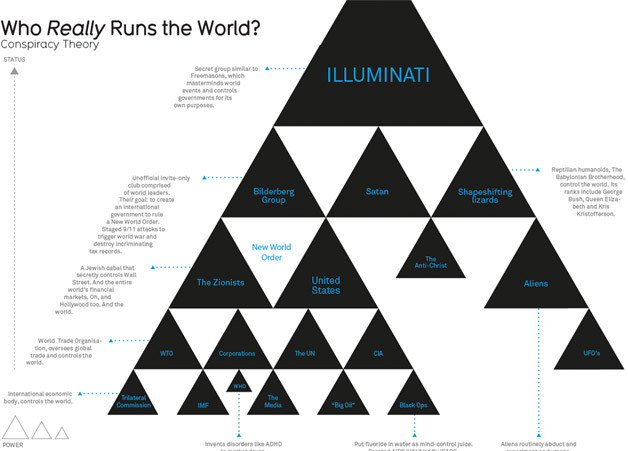 Who Runs the World and Who Really Runs the World – Information is Beautiful. *A Centre for Everything is exactly what it says on the tin. It’s the brainchild of artists, Gabrielle de Vietri and Will Foster, who, once a fortnight, invite people to take part (as teachers and students) in three unrelated workshops. Their objective is to share knowledge, ideas and skills in, well, everything.